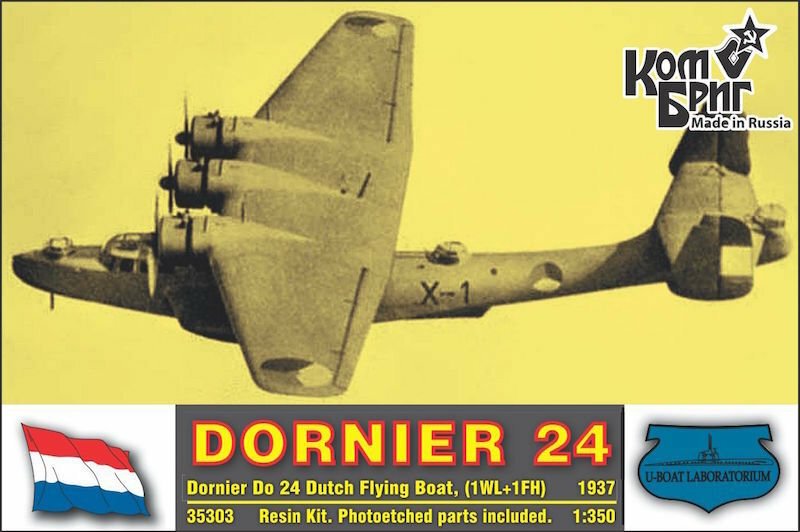 This a resin kit of Dornier Do 24 in 1/350 with photo etched details. The Dornier Do 24 is a 1930s German three-engine flying boat designed by the Dornier Flugzeugwerke for maritime patrol and search and rescue. According to Dornier records, some 12,000 people were rescued by Do 24s during its flying career. A total of 279 were built among several factories from 1937–1945.